I am Sally Goldfinger, Yoga Teacher, Holistic Nutritionist and Yoga Therapist. I am specialised in Ayurveda and live according to its simple principles because it makes me healthy, energised and balanced from within. Ayurveda teaches us that a disease or imbalance often begins when we don’t live in harmony with ourselves, our nature and our environment. It takes into consideration what has caused an imbalance, who you are as an individual, and what body constitution you are born with. 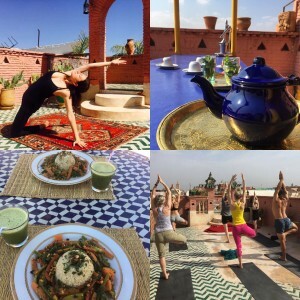 I offer inspiring Yoga Retreats ( for beginners and all levels and age groups), Wellness Programs, Workshops, Talks, Private Yoga & Personalised sessions in Marrakech and globally. 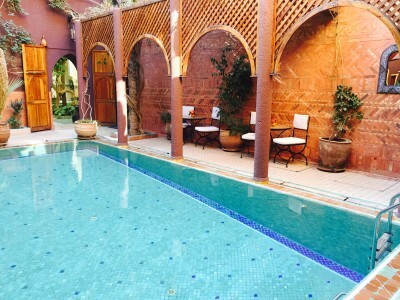 I also offer Ayurveda health consultations and programs in Marrakech and online via Skype. I help people step closer to creating a peaceful life with simple tools. I am here to help and inspire, motivate and educate. In a rushed world where more and more people are stressed, lonely, isolated and anxious it is important to share and connect, simplify situations and moments, slowing down, focus on self- care, eating healthily and creating healthy habits for life. My purpose is to make you feel better, healthier, centred, fulfilled and calmer on the inside, to inspire you and to give you a unique experience.